If you accidentally filled your diesel car with petrol, or the other way around, you do not have to worry! While it can definitely cause a lot of headaches, with our help it doesn’t have to. 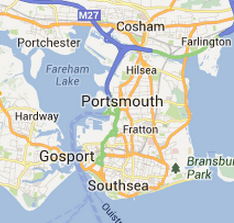 We are a team of fuel draining experts operating a mobile unit in Portsmouth. We pride ourselves with a 99% success rate in our previous interventions and we will be with you in less than 30 minutes, in most cases. As our team carries all the necessary equipment, there will be no costly repairs involved and you will be on your way in less than an hour. Fuel draining in Copnor: Refilling his Hyundai i10 at the Esso Petrol Station on Copnor Road, a young driver didn’t pay attention and ended up with the wrong fuel in the car. Broken down on Norway Road, he called us and we arrived there shortly and managed to get him running in less than an hour. Fuel draining in Fratton: Driving home from work, a young person stopped to fill up his Renault Clio at the Esso Petrol Station on Kingston Road. Unaware that he filled it up with the wrong fuel, the car stopped working on Mayfield Road, from where we were called. The team arrived in less than 30 minutes and got the car running shortly after. Fuel draining in Farlington: A businessman driving a BMW 520d stopped for a refill at the Sainsbury’s Petrol Station on Fitzherbert Road, but accidentaly used the wrong fuel. We were called from Northern Parade and we arrived there quickly to fix the problem in less than an hour. Fuel draining n Chicester: A driver needed to fill up his car with diesel so he stopped at the Sainsbury’s Petrol Station on Westhampnett Road. Unaware that he pumped up petrol in his Ford Focus, the car stopped working on Clay Lane. We were called from there and the mobile team arrived in less than 30 minutes and fixed the car in less than an hour. Fuel draining in Littlehampton: Stopping at the BP Petrol Station on Worthing Road to fill up her Vauxhall Astra, a young woman accidentally used the wrong fuel and her car just stopped on Bridge Road. Our mobile team was able to assist her in less than 30 minutes and to get the car back on the road in under an hour. Fuel draining in Wycombe: A mother of two was returning from football practice when she stopped to fill her car the the Shell Petrol Station on Fareham Road. Unfortunately, her VW Golf was filled with the wrong fuel and that’s why it broke down on the A32 later. Fortunately, our team managed to help her get the car back on the road in less than 30 minutes.